Working in a market that constantly changes makes it hard to keep employees engaged. Take the energy market for example: last year, the utilities industry ranked 15th out of 17th in engagement with only 59.2 percent of employees engaged. That's down 7.3 percent from 2014. What can organizations do to engage utilities employees? 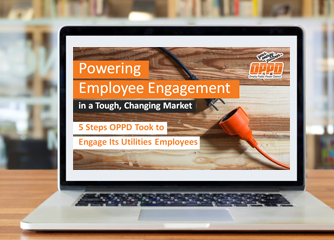 Join Angela Galloway, HR Senior Organizational Development Consultant at Omaha Public Power District, as she discusses the 5 steps OPPD took to engage its utilities employees in a tough, changing market.